Paint schemes for the No. 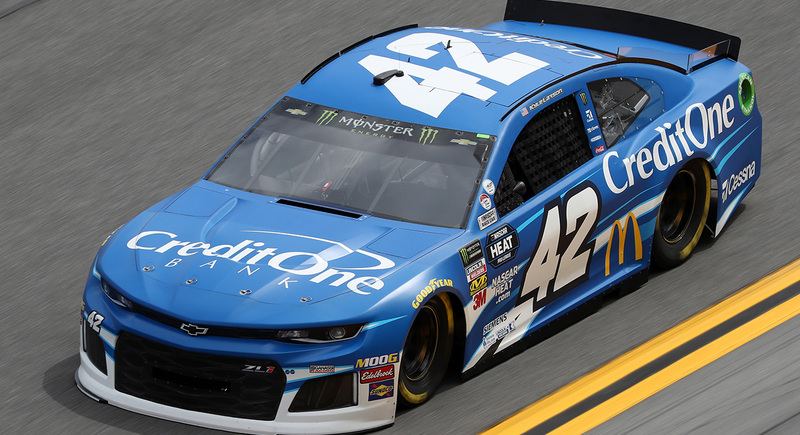 42 Chip Ganassi Racing Chevrolet and driver Kyle Larson for the 2019 Monster Energy NASCAR Cup Series season. 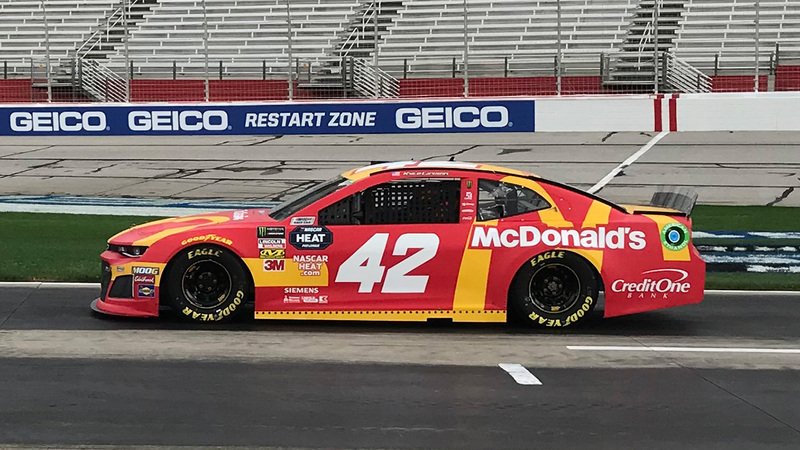 McDonald’s will be the primary sponsor of the No. 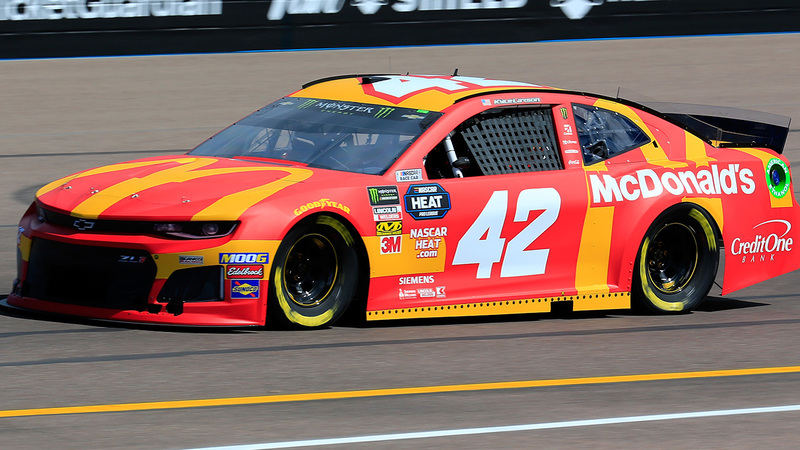 42 for multiple races in 2019. 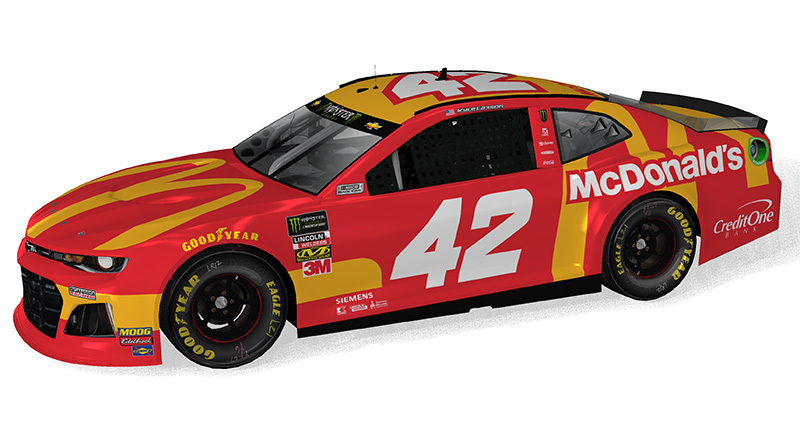 The partnership with Larson will officially start in Atlanta, with McDonald’s first primary paint scheme of the 2019 season on the No. 42 Chevrolet.